Our mission is to emphasize preventive care and education to help you lead a healthy lifestyle and keep your teeth as long as possible. Our services include fillings, crowns, root canal therapy, periodontal therapy, extractions, implant restoration, cosmetic treatment, full and partial dentures and other treatment as indicated. We also maintain good working relationships with local specialists. Dr. Dlabal first started practicing in Manhattan in 1972. Britt Feltner joined him in 1986. 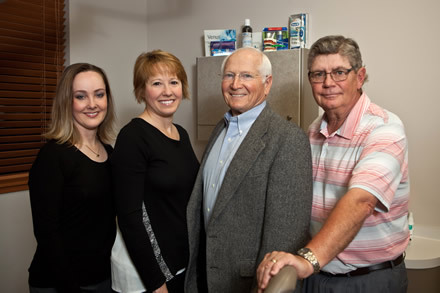 They practiced together until 2002 when Dr. Jill Ellner and Dr. Dana Smith joined the practice. In 2005 the four of them built the new facility and moved to their current location in Dickens Place. Dr. Dlabal attended Wilson High School, graduating in 1957. He attended Kansas State University and in 1965 married his wife Mary Jo. In 1968 he received his Doctor of Dental Surgery from UMKC before moving to Alaska to practice for the US Army from 1968-1971. After retiring from the army Dr. Dlabal moved to Manhattan and began private practice. He and Mary Jo have four children, Laura, Dennis, Jennifer and Jill, and eight grandchildren. Dr. Dlabal has also won the Manhattan Mercury's People's Choice Award from 2000-2007. He enjoys farming, gardening, golf, reading and skiing. Dr. Feltner is a longtime Manhattan resident. 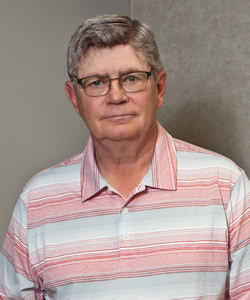 He graduated from Manhattan High School in 1971 before attending Fort Hays State and the University of Missouri at Kansas City. 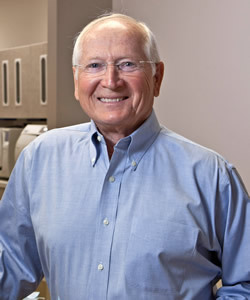 He received his Doctor of Dental Surgery from UMKC in 1986. Dr. Feltner and his wife Cam have two children, Jessica and Curtiss. 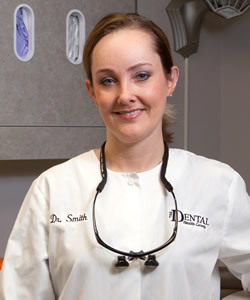 Dr. Smith grew up in Manhattan, attending Manhattan High School and then Kansas State University. She graduated from Creighton University (Omaha, NE) in 2000. Her husband, Doug Smith, is a science teacher at a local middle school. Together, they have three daughters, Molly, Avery, and Claire. They spend most of their time at soccer tournaments for their girls, but also enjoy traveling and spending time with family and friends. Dr. Ellner grew up in Manhattan and attended Manhattan High School. She is a graduate from the University of Kansas. 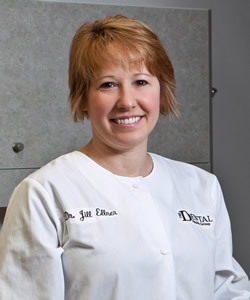 She attended Creighton University School of Dentistry and received her Doctor of Dental Surgery degree in May of 2001. She married Mark Ellner in 1999 and they have two sons, Marcus and Miles, and a daughter, Macie. She enjoys spending time with family and friends. She loves to cook, ride bikes, read and walk her two dogs. 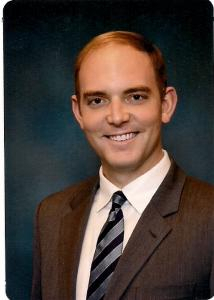 Dr. Kutina originally was born and raised in Great Bend, Kansas where he graduated from Great Bend High School. He played football, basketball, and baseball for the Panthers until moving to Manhattan to attend Kansas State University in the fall of 2009. While attending K-State, he earned his Bachelors and Masters degrees in Kinesiology/Exercise Physiology. He also was a member of Delta Upsilon fraternity. While attending K-State, he spent his summers working in a dental practice where he found his passion for dentistry. He attended the University of Missouri Kansas City (UMKC) School of Dentistry where he earned his Doctorate of Dental Surgery degree in May of 2018 with honors. Dr. Kutina enjoys multiple areas of dentistry and makes patient comfort his number one priority! Outside the office, Dr. Kutina enjoys spending as much time as possible with family and friends, attending K-State athletic events (especially football Saturdays! ), and participating in all types of sports, especially basketball and golf. He is looking forward to becoming an active member in the community.